1 – Maintain a healthy body weight throughout your life. The extra pressure that increased body weight (body fat) puts on your load bearing cartilage is well documented. This increases the rate of wear and tear significantly. Do what it takes to maintain a healthy body fat percentage. No excuses. 2 – Maintain a good level of strength and muscle bulk throughout your life. 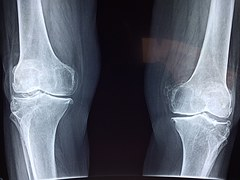 Having strong muscles around key joints that osteoarthritis effects (especially knees and hips) will physically take stress away from that cartilage and protect your joints long term. 3 – Eat well. Consistently eating a healthy diet high in vegetables and non-processed foods gives your body the building blocks to maintain your cartilage (and other tissues) over time. It’s less well known that a diet high in free radicals (from additives, bad fats and sugars) will increase your chances of cartilage degeneration and arthritis. For more information or an in depth, personalised consultation to help minimise your risk of Osteoarthritis (and a host of other preventable lifestyle diseases) call us today.